32Red Casino is one of the best and most popular Microgaming casinos. They have won many awards including “Casino of the Decade” from Casinomeister. They recently added Instadebit for Canadians to deposit and withdraw, which is my favorite method to use, and they also accept many of the other popular banking methods and credit cards. You get a great welcome bonus when you sign up at 32Red, they will give you $32 for every $20 on your first deposit. Their support is second to none and withdrawals are processed very quickly, they have the fastest withdrawals of all MicroGaming casinos. Play at 32Red online casino with Canadian currency today and enjoy playing over 500 casino games! See all the online casinos and other gambling sites owned by the publicly traded 32Red Group. They are listed on the London Stock Exchange. Jackpot City Online Casino is one of the longest running online casinos around. They have been providing players with great online gambling entertainment since 1998. Register a new player account and you’ll receive a generous CA$500 free sign-up offer made up of two 100% match bonuses that are also available in other currencies including £, $, €, AU$ and CHF. There are over 450 casino games to choose from including many various slots, video poker, table games and free multiplayer tournaments. Added to this are never-ending promotions with cash, credits, free spins and luxury items always up for grabs. You’ll even get cash back for your wagering activity. With its excellent 24/7 support service, prompt payouts and multiple language offerings, Jackpot City Casino ensures its players have the best playing experience, just as they always have for more than a decade now. 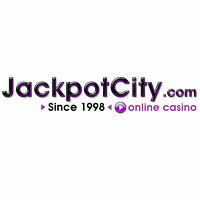 Jackpot City Casino is owned and operated by the Belle Rock group. 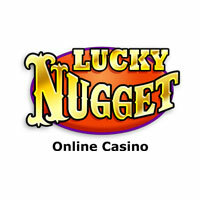 Another long lasting online casino, Lucky Nugget Casino was launched way back in 1998. It is a Microgaming powered online casino, licensed by the Lotteries and Gaming Authority of Malta and owned by the Belle Rock group. Being a Microgaming casino, there is no end to the entertainment. With over 450 casino games, and more added each month, Microgaming has the largest selection of games I have ever seen at an online casino. Live chat is quick to respond, and while my welcome bonus took longer than expected to show up, I was assured that it normally takes very little time. I assume it normally shows up within the first hour or two, as that is the case with most Microgaming casinos. If it doesn’t, just talk to live chat. Click Here to start off with a deposit match of 150% up to $200, or go for the high roller bonus of 100% for up to $1000 free. Launched in February of 2009, Go Wild Casino had a bit of a shaky start in the beginning. It seems they learned a lot since then and listened to feedback from players to fix things. The amount of complaints against them dropped considerably after the first few months, and they are now praised for their quick cashouts. I played there recently, almost two years after they went online, and everything went quite smoothly. Live chat was very helpful and quick to take care of things. The Wild Welcome Package at Go Wild Casino can give you over $1000 in bonuses on your first few deposits. Get a 100% bonus on your first deposit up to $200, plus 50 free spins on Thunderstruck II. Then get a 50% bonus up to $400 on your second deposit, plus 50 free spins on Tomb Raider II. Finally get a 70% bonus up to $400 on your third deposit and 50 free spins on Avalon. Each of those deposits also gives you a bonus of 500 loyalty points. Sign up today to take advantage of the great welcome bonus at GoWild Casino. 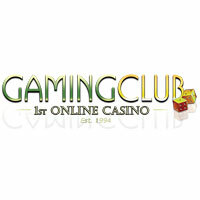 Play at the Gaming Club Online Casino and start enjoying the benefits from the moment you sign up. New players at Gaming Club get 30 free spins (no deposit required, and you keep the winnings) when they register a new account and they also get a 100% bonus of up to CA$100 free on their first deposit – other currencies available are €, £, $, AU$ and CHF. Rewards just for being a member of the casino include prizes of free credits and spins, cash, cruises and a loyalty points program that gives you cash back. Gaming Club Online Casino is one of the very first online casinos, established in 1994, and they know how to treat their customers. Customer support is readily available 24/7, payouts are quick, and there are many easy to use banking options. What are you waiting for? Sign up today! Gaming Club Casino is owned and operated by the Belle Rock group. Red Flush Casino was launched in June of 2008, and is another great online casino licensed in Malta by the Lotteries and Gaming Authority. In June of 2014 they were bought out by the trusted Fortune Lounge group. Live chat is quick to respond to any questions you may have, and quick to solve any issues. Withdrawals are processed very quickly after the 24hr pending period, which enables you to reverse some or all of your withdrawal. The Welcome Bonus is worth up to $1000 free! You get a 100% bonus worth up to $200 and 500 loyalty points on your first deposit, a 50% bonus worth up to $100 on your second deposit, and a 25% bonus worth up to $400 on your third. You also get $50 free every month for the first 6 months. Click Here to visit the website start playing at Red Flush today! 7 Sultans Casino has been online since 2002, it is owned and operated by the Fortune Lounge group and licensed by the Lotteries and Gaming Authority of Malta. Fortune Lounge has been operating online casinos for over a decade and continue to have a great reputation. Get a welcome bonus of a 100% match on your first deposit, and then 25% and 50% on the next two, for up to $1000 in free cash. You will also be given 2500 free loyalty points to start your climb up the loyalty ladder. This rewards program gives you points for wagering on their casino games, and these points can later be redeemed for cash. Play at 7 Sultans today and enjoy the over 500 casino games powered by Microgaming software, knowing you will be paid quickly when you win. Platinum Play Casino has been operating online since 2003. This Microgaming casino is owned and operated by the Fortune Lounge Group, and licensed by the Lotteries and Gaming Authority of Malta. Fortune Lounge has been running online casinos for many years and they have a great reputation. The welcome bonus is an interesting one. They start you off with 1500 free credits to play with, for a maximum of 24hrs. If you can wager at least 1500 credits during that time and end up with more than what you started with, you can keep up to $100 of it with a minimum $20 deposit. Whether you win or lose on those free credits, you can still claim a 100% bonus on your first deposit up to $200. So if you win $100 on the free bets, then deposit $200 and claim the 100% bonus, you will get $300 free for a total of $500 to play with. Try Platinum Play today and you will be automatically enrolled in their Loyalty Rewards program and given 2500 points for free. You get points for wagering that can be redeemed for cash, along with various other rewards that get better as you climb the four-level loyalty ladder.